Benzie, Robert. "Jagmeet Singh". The Canadian Encyclopedia, 11 February 2019, Historica Canada. https://www.thecanadianencyclopedia.ca/en/article/jagmeet-singh. Accessed 20 April 2019. Jagmeet Singh Jimmy Dhaliwal, leader of the New Democratic Party of Canada 2017–present, MPP, lawyer (born 2 January 1979 in Scarborough, ON). Singh is the first racialized leader of a major national political party in Canada. He was also the first turban-wearing Sikh elected to the Ontario legislature. 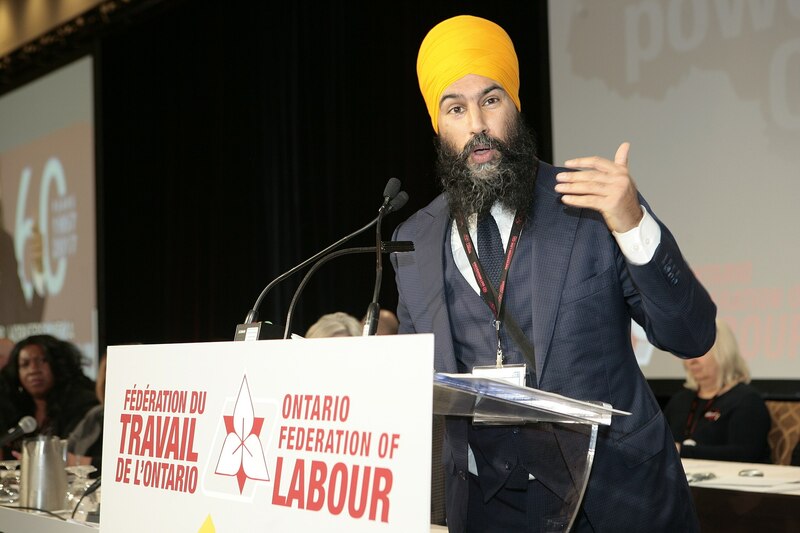 Federal NDP leader Jagmeet Singh, photographed in November 2017, speaking at the Ontario Federation of Labour conference. When Singh was seven, his family moved to Windsor, Ontario, where he grew up. There, he used his given name, Jagmeet. Concerned about bullying, his father sent him to the private Detroit Country Day School in the United States, across the river from Windsor, where he excelled in academics and athletics. As is the egalitarian Sikh custom — to diminish the influence of the caste system of social class distinction — he uses the last name Singh rather than Dhaliwal. After completing high school, he attended Western University, where he earned a Bachelor of Science in biology before going to Osgoode Hall Law School	in Toronto. While Jagmeet Singh spent most of his youth in the New Democratic Party (NDP) hotbed of Windsor, he said he did not become interested in partisan politics until he worked as a criminal defence lawyer in Brampton, ON. “I haven’t been a long-time party activist, I’ve been a long-time sympathizer, you could say. Criminal defence is a bit more liberal, more left wing because of the…social justice aspect of it. We’re advocates of the Canadian Charter	[of Rights and Freedoms],” he told the Toronto Star. Singh did volunteer legal work for social justice groups fighting poverty, helped immigrants and refugees with rights claims, and visited university campuses to give free legal seminars to students. Moved by the injustices he saw, Jagmeet Singh decided to enter electoral politics. He ran for the federal NDP in the May 2011 federal election in the riding of Bramalea-Gore-Malton. While the party’s then-leader Jack Layton guided the New Democrats to their best ever showing — finishing second to Prime Minister Stephen Harper’s Conservatives — Singh did not ride the NDP’s “orange wave” to victory. Losing by just 539 votes, he was a close runner-up to Conservative Bal Gosal. However, Singh finished ahead of long-time Liberal incumbent Gurbax Malhi, himself a pioneer in 1993 as the first turbaned member of Parliament elected outside India. Jagmeet Singh was convinced to run for Ontario NDP Leader Andrea Horwath’s party in the same riding (Bramalea-Gore-Malton) in the October 2011 provincial election. Attracting youthful volunteers, who treated his campaign office as an after-school community centre, and using social media effectively, Singh won the riding with 38.16 per cent of the vote compared with 32.93 per cent for Liberal	incumbent Kuldip Kular. 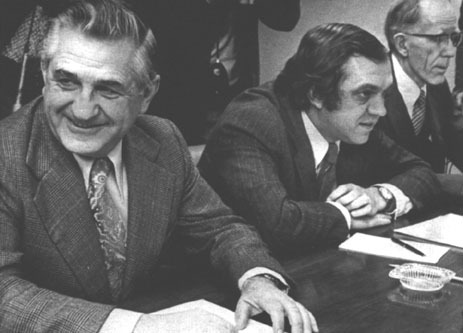 He was the first NDP member of Ontario’s Provincial Parliament (MPP) ever elected in Peel Region. At the legislature at Queen’s Park, the affable and charismatic newcomer made a stylish entrance. With his red BMW Z4 M coupe, Brompton folding bike, bespoke suits, and colourful turbans, he quickly became one of the most recognizable MPPs. With tens of thousands of Twitter and Instagram followers, he emerged as a rare Canadian celebrity politician, frequently photographed at swish receptions for the society pages. The Toronto Star anointed Singh as one of its 12 people to watch in 2012, extolling his skills at Brazilian jiu-jitsu and noting he was the first turban-wearing Sikh to sit in the Ontario legislature. At Queen’s Park, Jagmeet Singh championed auto insurance reform and introduced a motion in 2013 to force Premier Kathleen Wynne’s fledgling minority Liberal government to gradually reduce private passenger premiums by 15 per cent. Cutting rates was a key demand of Horwath’s New Democrats in exchange for propping up Wynne’s administration. In December 2013, Singh was refused a visa to enter India, over comments he had made on that country’s record on human rights. He had been trying to fly to Amritsar, India, to receive the SEWA Sikh of the Year award. Instead, he had to accept the honour in a video presentation and dedicated it to Indian human rights activist Bhai Gurbakhsh Singh Khalsa. Singh said the Indian consulate in Toronto told him he was refused a visa because he was an “outspoken critic” of India’s treatment of minorities, including Sikhs, Muslims, and Christians. On 2 May 2014, Horwath announced that the New Democrats, along with Tim Hudak’s Progressive Conservatives (PC), would not support the Liberal government budget, plunging Ontario into an election campaign. While the NDP had triggered the snap vote, the party’s lacklustre campaign was disorganized and plagued by internal sniping. Ever the team player, Singh was one of the only MPPs to attend the launch of the party’s campaign manifesto at the University of Toronto. 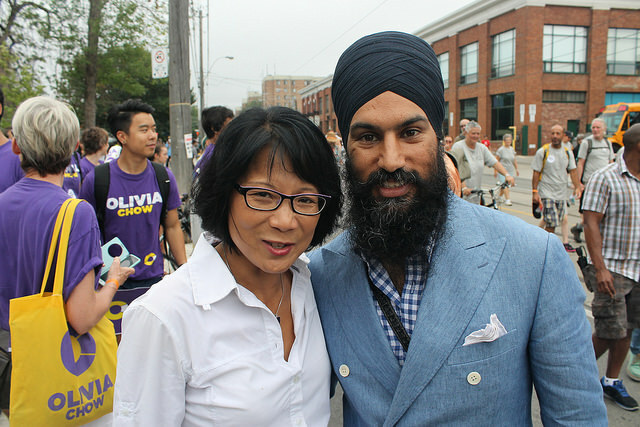 NDP politicians Olivia Chow and Jagmeet Singh at a Labour Day parade in Toronto, 1 September 2014. In the 12 June 2014 election, Singh retained his seat but the NDP lost ground, becoming the third party in the legislature dominated by a majority Liberal government. Still, Singh’s profile remained high. When Wynne’s government decided it would not grant turban-wearing Sikhs an exemption to Ontario’s motorcycle helmet law, Singh noted there was support in the Liberal, PC, and NDP caucuses for a legal exemption — something already in place in Britain, and in British Columbia and Manitoba. On 20 April 2015, Horwath announced Singh would be the NDP’s deputy leader. 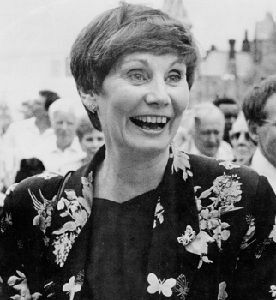 Her surprise move came after Singh had turned down weeks of overtures from national NDP leader Thomas Mulcair	to run as a candidate in that year’s federal election. “I would never have thought that a little kid from Windsor would end up being a deputy leader of a provincial party one day, so it’s a great honour,” he said. In 2016, Singh and four other provincial New Democrats opposed a joint Liberal and PC motion to formally denounce the BDS movement — boycott, divest, sanctions — that targets Israel. Singh warned the motion was contrary to “the right to dissent,” but it passed easily in the legislature. 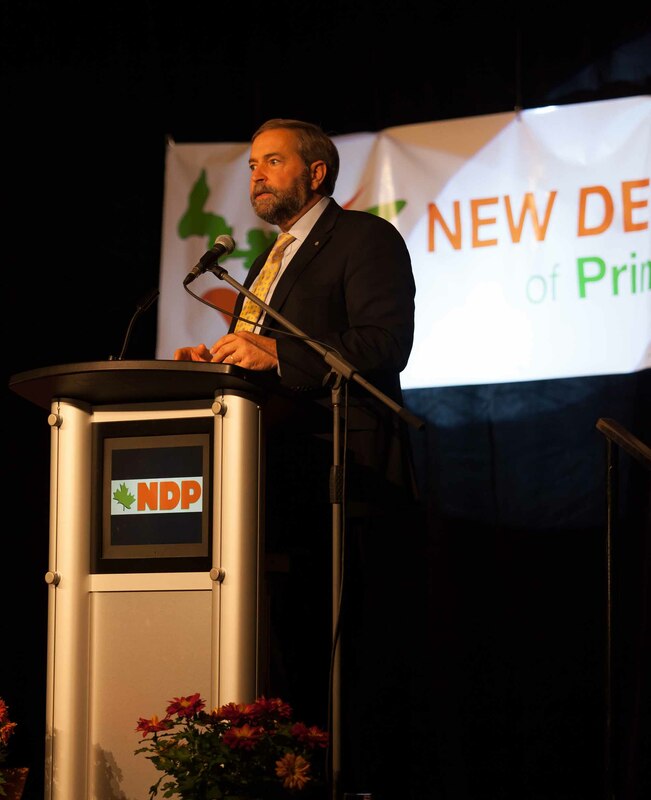 After the federal NDP’s disappointing result in the 2015 election, the party ousted leader Thomas Mulcair at a convention in 2016, clearing the way for a leadership contest. Singh remained coy about whether he might seek the leadership, enjoying instead his celebrity as an Ontario MPP. In February 2017, he was featured in the American men’s style magazine GQ — in an article headlined “A Chat with Jagmeet Singh, the Incredibly Well-Dressed Rising Star in Canadian Politics” — where he said he was “honoured” to be considered a potential federal leader. Finally, on 15 May 2017, Singh launched his campaign at a Brampton banquet hall beneath a slogan reading “With Love & Courage.” His platform included a plan to decriminalize all illegal drugs — treating addiction as a public health crisis rather than a law enforcement issue — and to ban racial profiling by federal entities like the RCMP. It also included a pledge to reform Canada’s electoral system. In the all-candidates’ debates, Singh, the only candidate on the stage from the provincial arena, was repeatedly asked if he would run for a federal seat even if he lost the leadership. “I will be winning, and once I win, I will run federally,” he said at a debate in Vancouver. That drew a response from candidate and Manitoba MP Niki Ashton that underscored how much the NDP establishment viewed Singh as an interloper. “I want to acknowledge that it’s up to the members to decide who is going to win this race,” said Ashton. The most sensational moment of an otherwise sleepy NDP leadership contest came at a campaign rally in Brampton on 6 September 2017. As he stood at the front of the room, Singh was accosted by a heckler named Jennifer Bush, a supporter of an anti-Islamic fringe group. As cameras rolled, an agitated Bush chided Singh for being “in bed with the Muslim brotherhood.” Singh remained calm. Displaying grace under pressure, he encouraged his supporters in a chant of “love and courage” to drown out the hysterical protester. Video of the encounter was viewed more than 35 million times online after it went viral on Twitter and Facebook. He also won praise for not responding to Bush’s claim he was a Muslim. “I didn’t answer the question because my response to Islamophobia has never been: ‘I’m not Muslim.’ It has always been, and will be, that hate is wrong. Once allowed to grow, hate doesn’t pick and choose,” he said. The encounter electrified New Democrats. Even though it was known that Singh had already sold more party memberships than his rivals, his position as the front-runner was solidified. NDP members began voting by mail and online on 18 September, with the results of the first ballot announced on 1 October. Singh won a first-ballot victory with 53.8 per cent of the vote. His closest rival, Ontario MP Charlie Angus, received 19.4 per cent. With no seat in the House of Commons, Singh named another leadership candidate, Québec MP Guy Caron, as the party’s leader in Parliament — an appointment seen as a concession to Québecers, who had been instrumental in Jack Layton’s success in 2011 yet were leery of the new leader. Singh said he was “confident … we will be able to grow in Québec” in the 2019 election. However, he also took a strong stance against that province’s controversial Bill 62, which would ban Muslim women from giving or receiving public services while wearing a face covering. Singh made headlines early in his tenure during an interview with CBC Television. Asked if he condemned Sikhs who revere and display posters of Talwinder Singh Parmar — the reputed mastermind of the 1985 Air India bombing that killed 329 people — Singh called the bombing a “heinous massacre.” However, he pointedly did not denounce those Sikhs who still pay homage to Parmar. (Parmar was tortured and killed by Indian police in 1992.) “I don’t know who’s responsible [for the Air India tragedy] but I think we need to find out who’s responsible, we need to make sure that the investigation results in a conviction of someone who is actually responsible,” the NDP leader said. Three weeks after winning the federal leadership, Singh resigned his Bramalea-Gore-Malton seat in the Ontario legislature. He was greeted with a standing ovation by MPPs from all three parties when he made a farewell appearance at Queen’s Park. In August 2018, Singh announced that he would run in the Burnaby South by-election in British Columbia. The Vancouver-area riding had been vacant since June, when NDP MP Kennedy Stewart resigned to run for election as mayor of Vancouver (Stewart won the election and became mayor in October 2018). On 25 February 2019, Singh was elected MP for Burnaby South, winning 39 per cent of the vote and defeating his main rivals in the by-election, Liberal candidate Richard Lee and Conservative candidate Jay Shin. 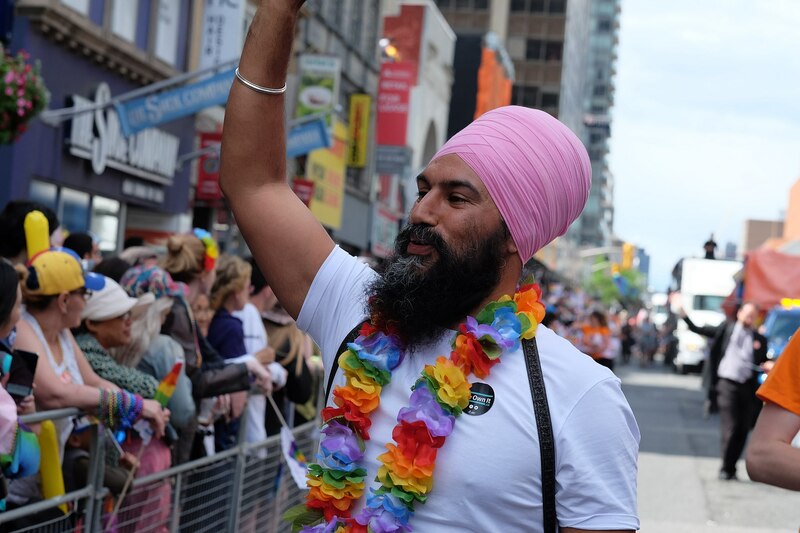 Jagmeet Singh at the June 2017 Pride Parade in Toronto. In 2018, Jagmeet Singh married Gurkiran Kaur Sidhu, a fashion designer and an entrepreneur.